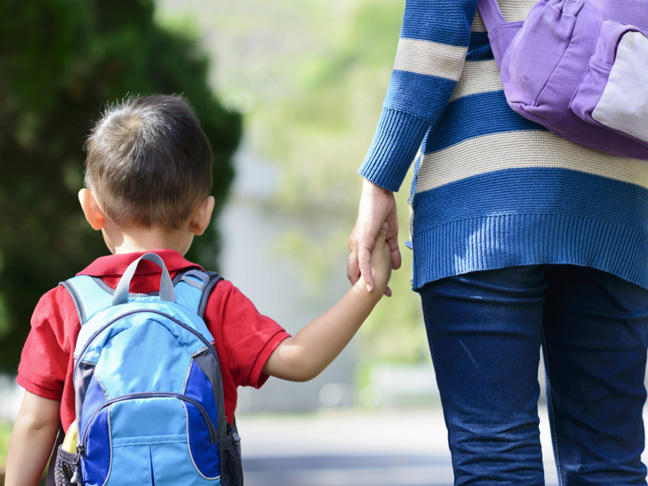 Preparing for that first day at pre-school is important for both parent and child. It can be a very worrying time, so below on behalf of the team at Kidsoft I’m going to share some valuable advice. So, leading up to that first day parents must of course arrange a proper indepth meeting with the manager and staff of the centre. It is also a good idea to take your child a few times to familiarise them with the place and it’s staff. Introduce them to the facilities so they can look forward to play time. If they need a uniform then let them get involved like choosing their lunch box and water bottle etc. Tell the staff as much information about your child as possible, for example their likes and dislikes. Everyone concerned wants the transition to be as stress free as possible. For anxious parents it may help if you take a friend along for the first few times you drop off your child as it can be quite overwhelming. At home it may be an idea to stick to the centres routine like nap time. This will help them get used to the new routine. Some children may love the experience of starting pre-school yet some may be scared or insecure. It is normal for young children to suffer some anxiety at being separated from their parents or guardian. Some children adapt quicker than others so don’t panic. Remember you are not being a bad parent bu putting your child into pre-school so don’t feel guilty. Do something they like on the way like play their favourite music, or sing along to their favourite nursery rhyme as simple things like this can calm them. Always remember the centre is a phone call away so if your child had a particular anxious drop off then call the centre manager. The staff we employ are highly skilled at preparing your child fpr that first day at pre-school so you know you have their support. Always talk to your child about what is going to happen on the way. For example you can start with the routine, and explain what they can do at play time, what will be for snack time of lunch time. All this communication will help towards them getting used to the new routine. Most children have some kind of comforting object they love like a teddy bear, so make sure that goes with them. A little bit of home is OK. Don’t let your child see you anxious or upset even if you are as this will unsettle them. Only stay for a few minutes every day instead of hanging around or doing long goodbyes. As much as you’ll find it hard to leave, staying for a long time when dropping off can create the sense that you’re staying with them, making it harder when it comes time to leave. Stay for a few minutes as they settle into an experience and then say good bye before leaving. Being consistent is a huge factor and will help with their own anxieties. All in all keep upbeat about their visit and ask them in an excited way about their time there or what they may be doing on the way. Lots of smiles and a very normal attitude will make them feel more relaxed. So, preparing for that first day in pre-school really can be much easier than what you think.